A new bathroom is a major expense you don't want to get wrong. This guide will take you through some of the steps you need to think about when planning a new bathroom. 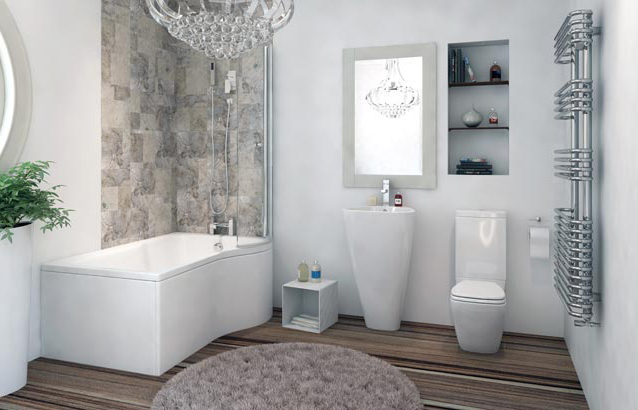 Are you looking for an ensuite bathroom suitable for you and maybe your partner/ guest or a family bathroom? Ensuite bathrooms are usually smaller than a family bathroom and may only have a shower not a bath as well. If you love showering you may want to consider a wet room instead. If you have the space ensuite bathrooms can really add value to a house. Family bathrooms may need to be more robust than an ensuite bathroom. I suggest keeping your best accessories for the ensuite. Do you want your most expensive white towels used after rugby practice? Exactly. You also need to think about the type of people you have in your home. Some people prefer showers whilst others love to luxuriate in a bath. A shower over a bath is a good option for all the family. If the members of your household need to leave the house at the same time for school, college or work a double sink is a feature also worth considering too. The style of the bathroom you choose is a very personal choice. Do you like minimalist and modern or are you a more traditional person? Maybe you want touches of both in a bathroom. This is important when taking into consideration the overall look of a bathroom and for choosing a bathroom suite, shower or accessories. Recessed coves can be used for storage or decoration whilst heated towel rails are practical too. Portable storage can be added to make the use of all the space. Before you buy any fixtures or fittings you need to measure and plan your space out. If you are not sure where to start your bathroom supplier can usually help you for a fee, or if you can find a reliable bathroom fitter they can do this for you. If you have a small area to fill, built in cabinets can help utilise the space, such as that under a sink. Recesses, windowsills and wall storage can also make the most of every possible nook and cranny, to store toiletries and towels. If you have the space consider portable or free standing storage units. The floor in a bathroom needs to be non slippery and waterproof. Tiles, vinyl and laminate are a popular choice. Avoid carpet at all costs or it will go mouldy and be very unhygienic. Tiles are also a popular choice for around the sink and bath or shower, as a splash back. For a streamlined look extend the tiles from the floor all the way up the wall. Bathroom paint that is moisture and steam resistant will prevent mould and give a professional look. Accessories can really add to the styling and functionality of the bathroom. Mirrored and magnifying lights can help with shaving and illuminate when putting makeup on. Bathroom cabinets can add great storage space, and also added light if illuminated too. Heated towel rails as well as being practical for storage are great for the Winter. These are just some point to consider when planning a new bathroom. Have you had a new bathroom fitted? Do you have any tips on what to consider when buying a new bathroom? * sponsored post, all words and opinions are my own. I love stand alone baths too, they look tres chic. Being in rented accommodation iv never had to totally refit my bathroom. But we did opt to paint the wooden bath panel, one wall and the windowsill and frame a beautiful light blue. 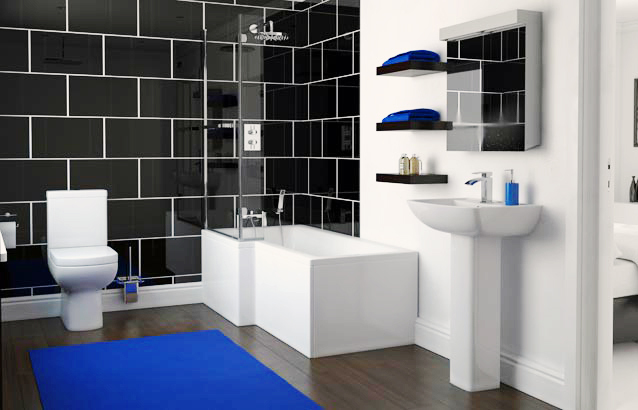 A lick of paint and some new accessories can really freshen up a bathroom if you are on a tight budget or renting. I think that is essential in a small bathroom. I saw a programme about a man who lives in a room basically. Everything is hidden away, the bed comes out of the wall and so does the kitchen. It is amazing what you can do if you have to with using space. I can understand your point but as bathrooms are not cheap or easy to change then you would be stuck with a colour that could date. That one is especially beautiful. So many beautiful bathrooms. Lots of good inspiration here and I do love mixing modern and vintage together. Gorgeousness!